October of 2017 marked my fifth year of service as president of Midwestern Seminary. In concert with that milestone, we began a new tradition here: the faculty lecture. I presented the inaugural address, entitled “For the Church: A Five-Year Appraisal.” This article, adapted from my faculty lecture, is the third and final installment. You can access the first article here, and the second here. “Wars are not won by evacuations,” so declared the British Prime Minister, Winston Churchill, in the aftermath of the miracle at Dunkirk. Similarly, great institutions are not built by living in the past. They can’t go forward by making U-turns. Yes, we forget the past to our own peril, but we live in the past to our own regret. First, our vision necessitates a stubborn insistence to be For the Church. It is easy to be For the Church now. It is cool, everyone likes it. It’s great, students are coming. But what does it look like as it relates to our commitment in five, eight, or ten years when our enrollment is not going from 3,000 to 6,000, but is rather going from 3,000 to 3,500? To be For the Church means to rejoice in that. Any conviction worth holding is worth holding regardless of seasonality. For the Church, we believe, is God’s vision for this institution. We believe it is a biblically-based vision, and it must be a perennial one. We must make sure we are perennially committed to it. So much so, second, For the Church is an a priori commitment. We must relentlessly ask, in light of that, how do we most faithfully serve Southern Baptist churches? Each one of those words matter. How do we— not just me – most faithfully serve Southern Baptist churches? Midwestern Seminary is a Southern Baptist institution, proudly and happily so. We are not committed to Southern Baptists just in some generic way, but rather specifically to the churches of the Southern Baptist Convention. A continual question must be, “What does faithfulness to Southern Baptist churches look like in our generation?” That question will not be answered merely by our convictions, but also by us having a healthy ear to the ground based on the needs of our churches. That changes year-to-year, decade-to-decade, and a responsible institution is mindful of the needs and the status of the churches that it serves. This is a grand calling, and Southern Baptists are a grand people. Southern Baptists historically have been common folk who love the Lord, love the Bible, and love the gospel. There is a reason that we are the only Protestant denomination, save the Lutheran Missouri-Synod, that has actually made a self-correction. It is not because we are smarter than everyone else or that we are more gifted than everyone else or that we are more politically strategic than everyone else. It is because the people in the pew love the Bible and love the gospel. We must maintain an affinity for our people. We are a denomination historically that has been comprised largely of “butchers and bakers and candle-stick-makers” and that is great. It is a privilege to serve common folk who love the Lord Jesus. Third, going forward we must evaluate our curriculum and our course offerings in light of the question, “How do we best serve Southern Baptist churches?” Answering this question may prompt adding initiatives. It may require pruning initiatives. It may prompt reshaping offerings, expanding offerings, or recalibrating offerings. We understand and are fine with other seminaries doing other things. If they want to offer everything under the sun, they can do that. They can play checkers; we will play chess. As for us, we will focus on the specific needs and expectations of Southern Baptist churches. Fourth, For the Church must continue to mean, “For the Nations.” If I could put one asterisk beside For the Church, it would be that everyone seems to always forget it is For the Church—domestic and international. For the Church is a global vision. God is a global God doing a global work across the nations. We are a Great Commission people, and we should be intentional to talk about, strive for, teach for, and pray for the international church as well as the domestic church. Fifth, going forward we must guard our hearts. I know God can do more in 10 seconds than we can do laboring for 10,000 years. At the same time, Satan, through a few ill-advised moments, can bring great harm to all that we’ve striven for. I want to press this further. I do not merely mean through great moral failures or great scandalous sins, I also mean through pride that can creep in as we celebrate God’s faithfulness. Sixth, we must assume nothing. We must assume nothing, first and foremost, confessionally. We must continue to articulate, to advocate, to speak and to hold ourselves accountable to the Baptist Faith and Message 2000, the Danvers Statement, and the Chicago Statement on Biblical Inerrancy. These are what the churches expect for us by way of our doctrinal beliefs, and we have to continue to state them again and again and again. It is an appropriate thing to challenge people to make sure they are still holding steadfast to their first commitments. It is not a routine thing or a perfunctory thing to ask faculty anew, “Do you believe the Bible?” It is not a perfunctory, routine, or clinical question to ask faculty when they are renewing their contract, “Do you still hold to, without mental reservation or equivocation, The Baptist Faith and Message 2000? We do not take these things for granted confessionally. Seventh, we must never lose sight of a keyword – stewardship. Everything I have previously addressed is a stewardship. The analogy I use is, “Leading a seminary in the 21st century is like sitting down to a game of chess where you are playing someone who has already been playing it for many hours before you.” Certain pieces are on the board and certain pieces are not on the board. Certain pieces are arranged as such that, if you had it do to over, you would put them elsewhere. We are a part of a divine chess game. In our generation, we have taken our place at the table, and we are playing the board to the best of our ability. One day we will get up from that chair and a new generation will sit down to lead and serve. Where are the pieces going to be located on the board when we leave it to them? What position are we going to leave this ministry and institution in? What is more, there is no final victory. We do not get to cross the finish line one day and say, “Well, we are kind of done and we can quit hustling now.” There is no final victory in this great work. It is a pursuit we must continue to give our energies toward. Ninth, going forward, our greatest challenges will be external. I say this not to be a prophet but, in one sense, to speak prophetically. I believe over the past five years our greatest challenges will have proven to be internal. Much of the past five years has been about fixing things internally. As I look to the future, I think our greatest challenges are going to be external. We live in a world that is increasingly secular. We live in a world with accreditation agencies that cannot figure out what seminaries do. We live in a world marked by governmental intrusion, from administration to administration. We live in a world where there is so much in front of and around us that could disrupt our work. If I did not believe in the kind providence of God, I would not sleep nearly as well. Tenth, we must continue to be rabidly denominational. Again, I praise God for our brothers and sisters in other evangelical denominations. Other agencies, other denominations, and other ministries have a role and a purpose, and I rejoice in what God has done over the past decade or so through many of those ministries. But Midwestern Seminary is a Southern Baptist institution and must be devoted to the churches of the SBC. I intend to be buried in Kansas City, but my casket likely will face Nashville. Therefore, we are called to serve the convention, not to prod it, scold it, push it, or patronize it. We are called to serve it and only in the appropriate sense are we even called to lead it. Eleventh, I believe Midwestern Seminary must increasingly take on a prophetic mantle for the church. I have been amused and deeply gratified as I see other institutions begin to speak more and more intentionally about the local church. Imitation, it is said, is the highest form of flattery. At the same time, I believe God has given us such a distilled vision, and such a perch from which to speak, that we must continue to challenge other institutions about what they are doing for the local church. For the Church is such an obvious calling that every seminary should have, but unfortunately few seminaries have it as clearly and as prominently prioritized as they should. Twelfth, we must be a strengthening institution that continues to strengthen. Fundamentally, Midwestern Seminary went from a school of roughly 1,000 to a school of 3,000 and that is an extremely different makeup. A school of 2,000 is different than a school of 1,000. A school of 3,000 is different than a school of 2,000. By God’s grace, if we see 4,000 or 5,000 that is dramatically different than a school of 2,000 or 3,000. Therefore, we have absorbed a great deal of administrative and structural change over the past several years and we will likely be absorbing more. We must have the fortitude personally, the wherewithal institutionally, and the focus of mission collectively, to be willing to ask hard questions about who is doing what and how we are doing it. To relentlessly, in the spirit of businessman and consultant Jim Collins, be mindful of who is on the bus, as well as ensuring they are in the right seats on the bus, and to have a kingdom mentality about our own turf, roles, and responsibilities are essential. We must understand that all of us hold this stewardship with an open hand. Finally, fourteenth, we must be intentional to keep the business model that we have. Having eggs does not mean you know how to make an omelet, but if you do not have eggs it does not matter whether you know how to make an omelet. In general, in higher education, the typical business model of the typical college appears to have been put together by a chimpanzee (A spend-thrift chimpanzee at that). Our financial gains have been hard-won, and they can be easily lost. The prodigal son did not run out of money his first day out of the house. The higher education industrial complex is awash in waste, fraud, and abuse. I am grateful we are not a part of that at Midwestern Seminary, but I am mindful of the world that we live in and the air we breathe. If we keep our financial intentionality in this generation, we can build a sustainable seminary for all generations. For the Church. It is the vision that called me to this place and, increasingly, it is the vision that has called us to this place. It is the vision that has radiated through this campus and reverberated across our great denomination. It is the vision that we, with appropriate institutional self-confidence, are projecting to all who have ears to hear. May we never cease to be thankful to God for the victories he has given us these past five years. May we never cease to serve in such a way that he is pleased to give us such victories going forward. 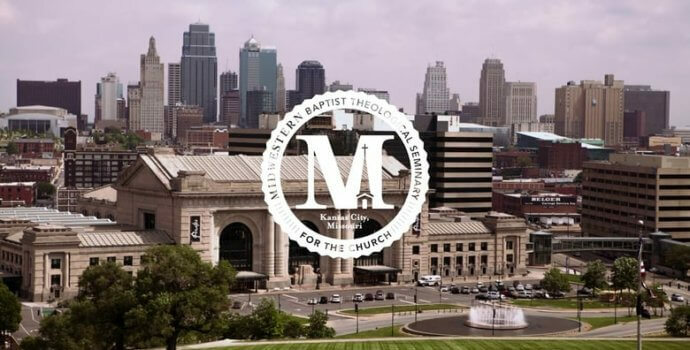 © 2014-2019 Jason K. Allen and Midwestern Baptist Theological Seminary. Hosted by (mt)DV.